Arrived Friday morning, 5:30 a.m. on the overnight flight from San Francisco. The greatest hardship of the journey was my onscreen catalog of available movies didn’t work properly and I had to choose without knowing all the options. My travel companions came two days earlier. I wanted to be at home for Swamiji’s Moksha Day, rather than caught somewhere near the international date line, so I left later. The time difference now is only 5 hours, and Kavita’s house, where we all stay, is so much home now, that it hardly feels like travel. There is, however, that unique feeling of New Zealand, which I came to know and love last fall -- relaxed, happy, and completely at home. Dambara and Atmajyoti are returnees from last fall. Tandava is the “new guy” but his newbie status dissolved immediately and we are working as one harmonious team already. 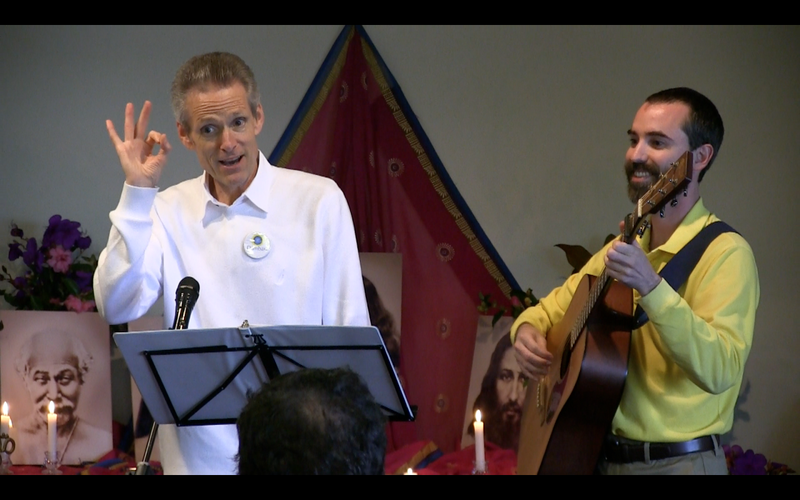 Having his fabulous musicality to inspire and accompany Dambara in songs and chanting is a treat for all. The two of them have great fun making music together and the rest of us are the happy beneficiaries. In addition to Kavita, her husband Aroon, and teenage daughters Veda and Devya, a Canandian woman named Zeb is also living in the house. She had contacted Kavita looking for a work exchange, with a backpack full of just the talents that were needed -- photographer, writer, web-savvy marketeer, truth-seeker, and all around delightful person. She arrived in time to help Kavita put together and publicize the program. Truly a godsend. We all bonded immediately. Today we were joined by a young Australian named Travis who will also be with us for the whole time. 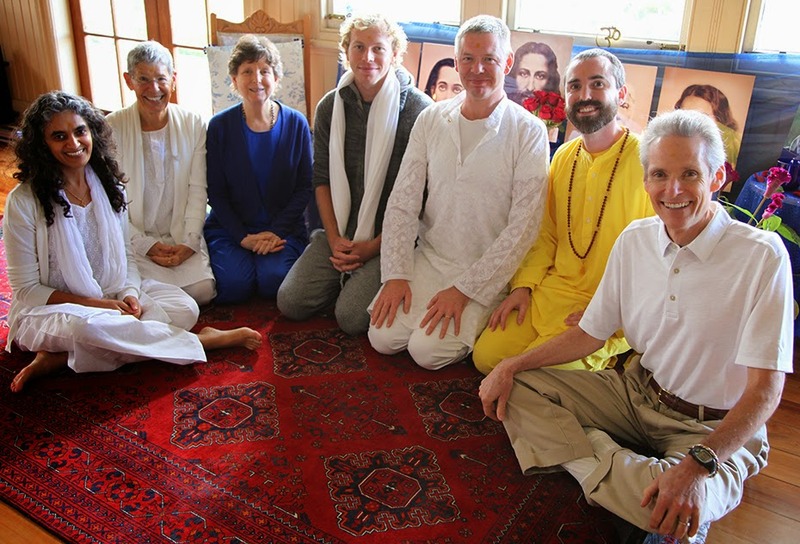 This morning we had a Kriya initiation for him and for a core member here named Alan. There seems to be a special grace from Master for these small initiations, scheduled for the benefit of specific devotees. We did two of them last trip as well. Last trip we traveled the length of the north island -- from Auckland to Wellington and met many fine souls. The greatest concentration of energy is with Kavita here in Hamilton, though. 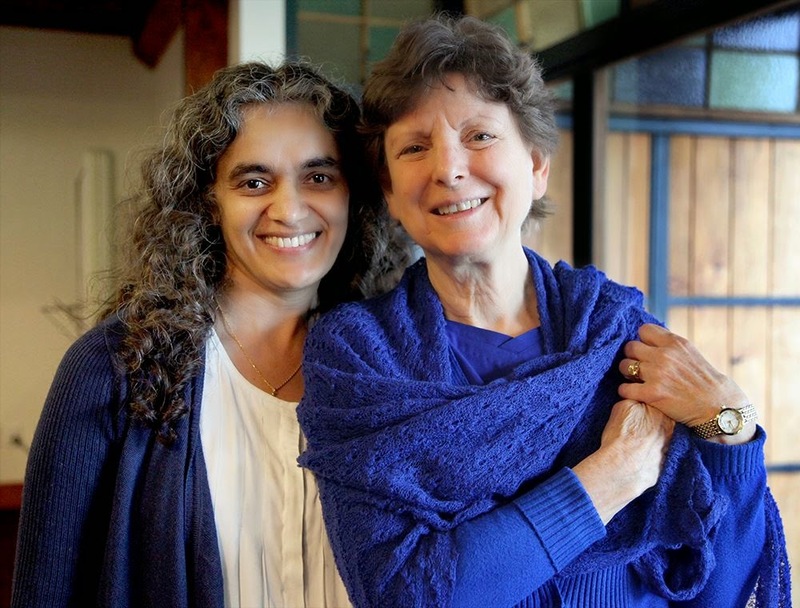 Since our last visit she has been teaching meditation and yoga and building up magnetism from her spacious home on the river which she calls The Narrows Retreat. You can look up her website to see where we are presently ensconced. This trip we are exclusively in Hamilton for two weeks, then on the third weekend we go back to Lake Taupo, a beautiful location, centrally located. Many people from other areas will join us there. Just up the road from The Narrows Retreat is a conference facility called The Narrows Landing. You probably get the theme here: the Waikato River ... guess what? ... narrows right here! The Narrows Landing is larger than Kavita’s home and has been an ideal setting for our weekend programs. At lunchtime, we walk from the Landings to the Retreat for the informality of being at home, then walk back to the conference center to continue the program. Perfect. 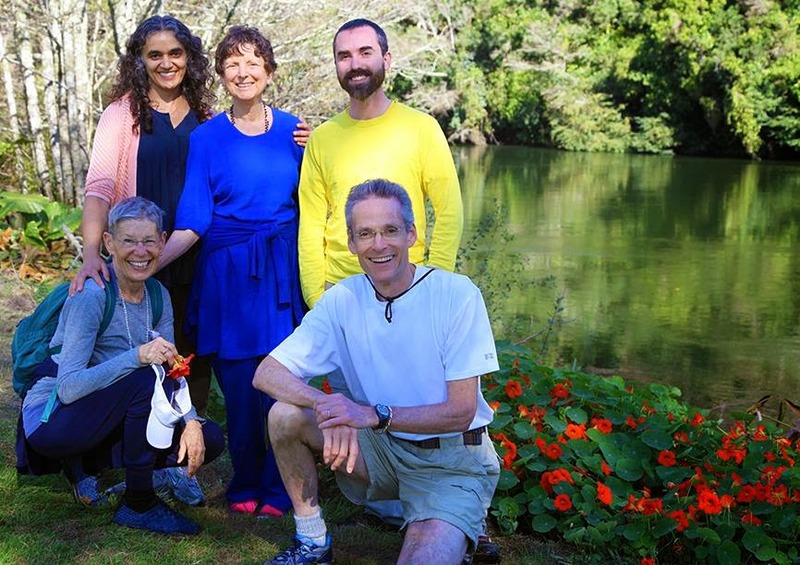 Kavita has found that the greatest interest now is in meditation, so we have made that our theme for the whole stay, exploring the subject from many directions over the whole series of programs. You can see the details at Ananda New Zealand. For our first program on Saturday we had about 40 participants. Some were returnees from last visit; many were first-timers. Interestingly, even those who were coming for the first time were on the same wave-length as the returnees. In other travels through the years, I’ve noticed that when I return to a place it isn’t only individuals who have progressed in the teachings, it is the whole place that has progressed. Even if you are talking to a different crowd, you can speak on a deeper level. On Sunday we had the service, Festival, and Purification Ceremony. On Monday we did another 10-4pm day. Attendance for those days was closer to 20. Everyone who came was focused and serious about spiritual life so we had a wonderful time together. Even though for many we were meeting for the first time, we felt like old friends. It is a remarkable life we have. Our bonds of spiritual fellowship transcend all limiting conditions of country, culture, or personality. Soul-to-soul. That is the joy of friendship in God. Sunday afternoon we went to the Theosophical Society. 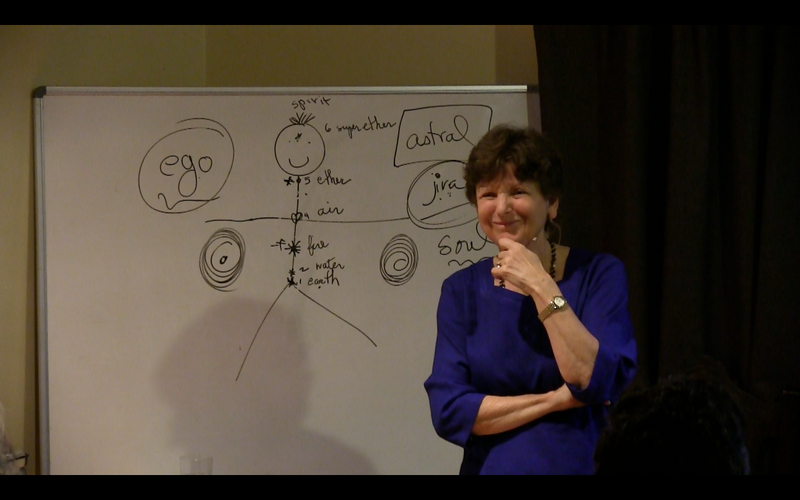 The subject was the chakras -- in 60 minutes! 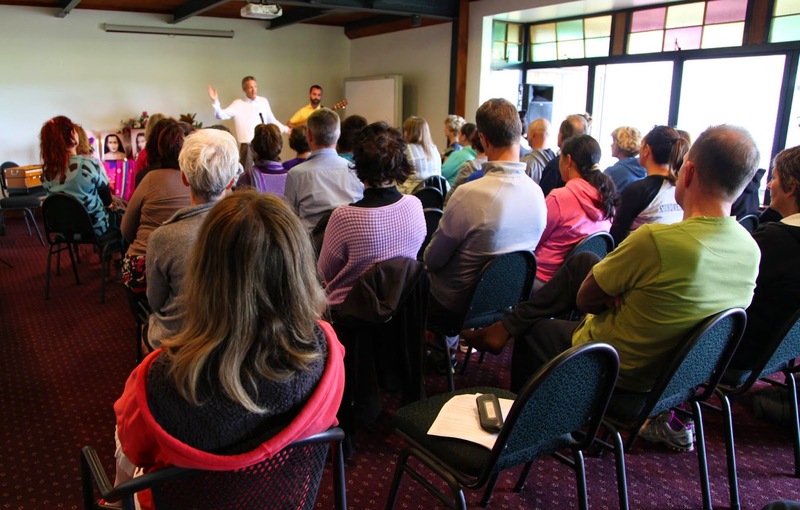 The chakras, at the Theosophical Society of Hamilton, New Zealand, was yet one more proof of God’s response. It was energetic and entertaining, we sold quite a few books, and a couple of people came on Monday because of the program there. Our host gave a moving testimonial about how much her life has been enriched in the 6 months since we were last there because of all that she has gained from online classes and reading Master’s teachings that she began because of our visit last fall. We have met several people already who read Autobiography of a Yogi, even became deeply engaged with Master many, many years ago, but somehow let the connection lapse. Now, finding Ananda is opening that doorway again. Another woman spoke to me of her Catholic upbringing and the love she had for Jesus, which was gradually covered over by disillusionment with the Church. Now her youthful devotion has been reawakened. A whole new life direction is opening. What an honor to serve in this way. P.S. An on-going photo album of the trip can be found here.